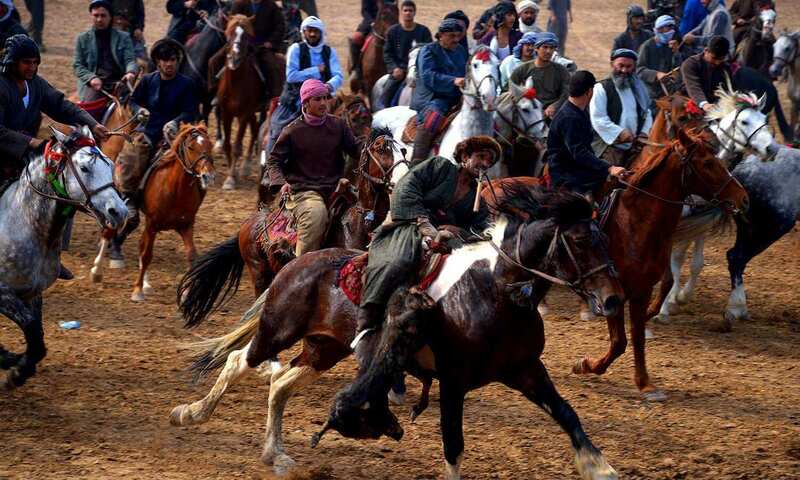 Buzkashi also known as kupkari, is the national sport of Afghanistan and is a "passion" there. 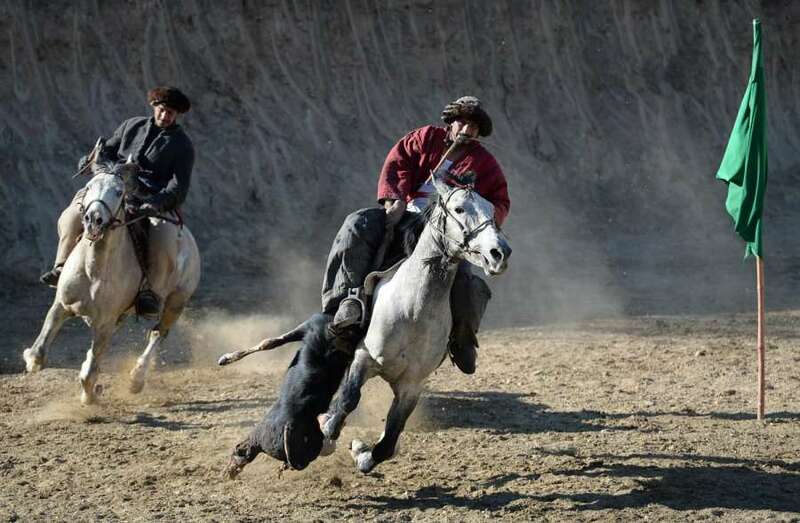 In this sport, horse backed players strive to place a goat or calf carcass in a goal. Its matches are often played on Fridays and attract thousands of viewers. 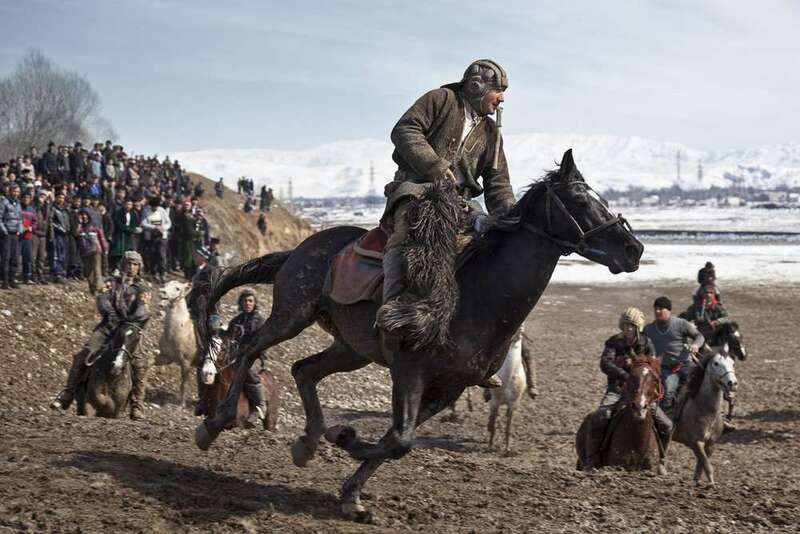 The sport was originated when the nomadic Turkic-Mongol peoples came from farther north and east spread westward from China and Mongolia in 10th to 15th centuries in a centuries-long series of migrations which ended in the 1930s. 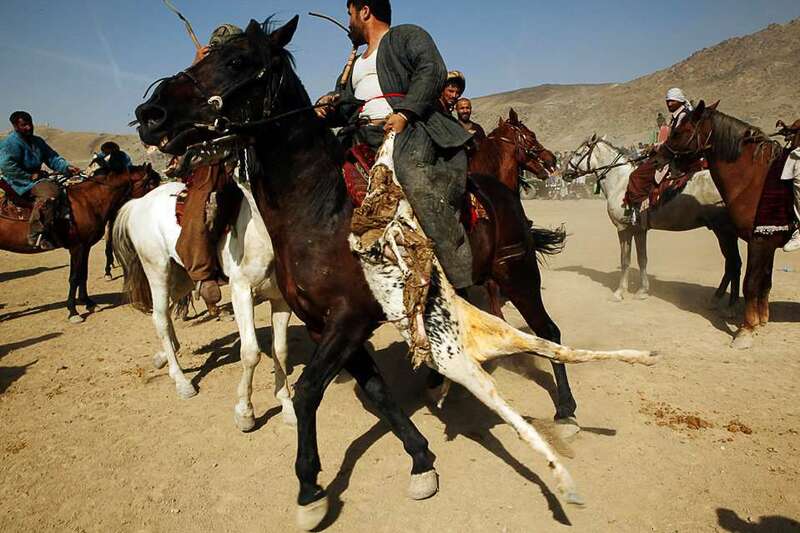 A player of buzkashi is known as Chapandaz. 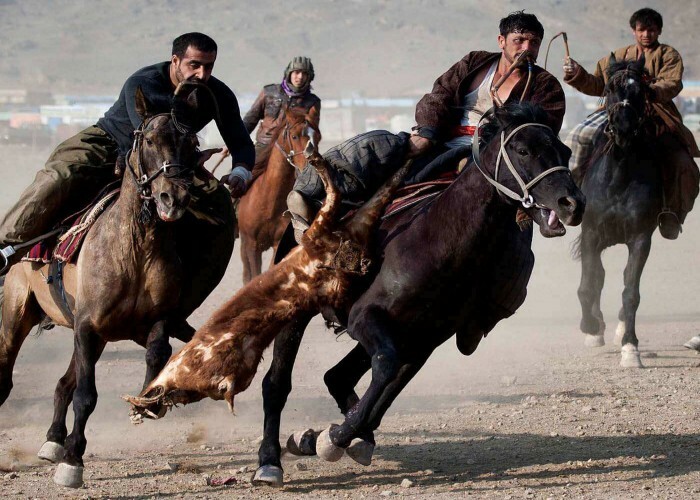 Apart from Afghanistan, other games similar to buzkashi are played by several other countries such as Kazakhstan, Kyrgyzstan and Tajikistan.  The playing area of the sport is a square with each side 400 meters long. 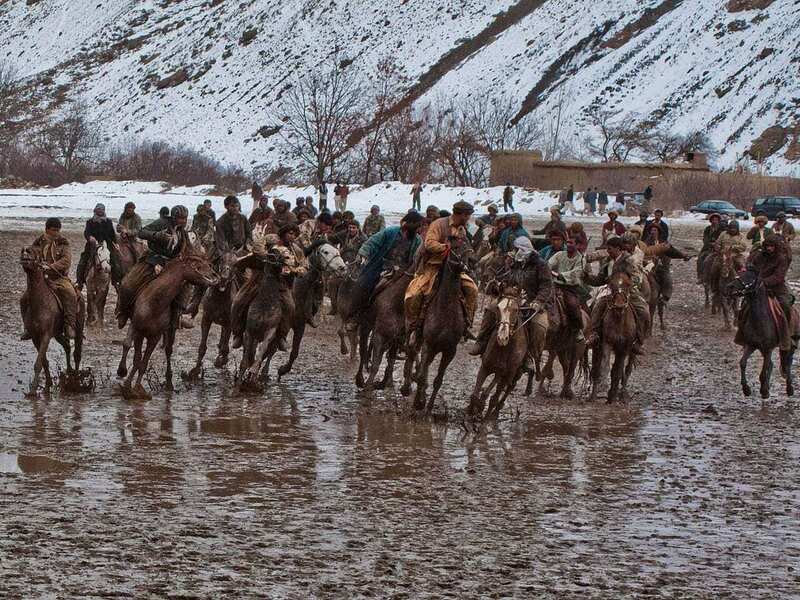 Teams consist of 10 riders each. 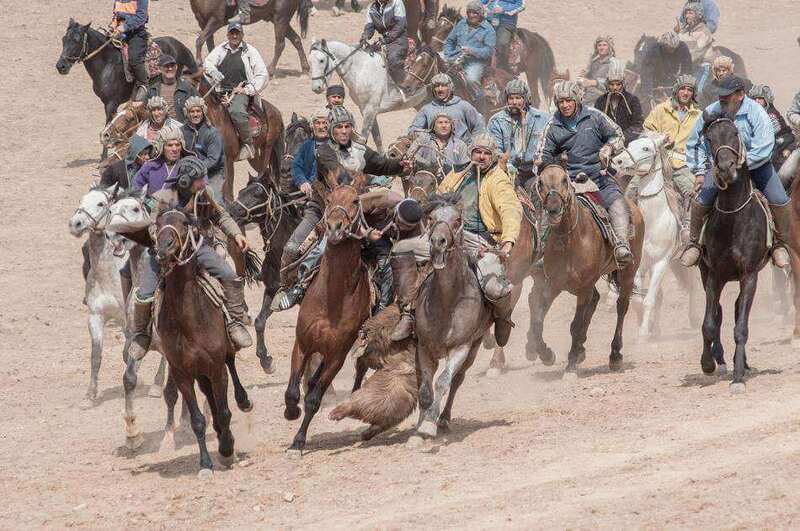 Only five riders from each team are allowed to play in a half. Each half of the game is played for 45 minutes and there is only one break of 15 minutes between the two halves. 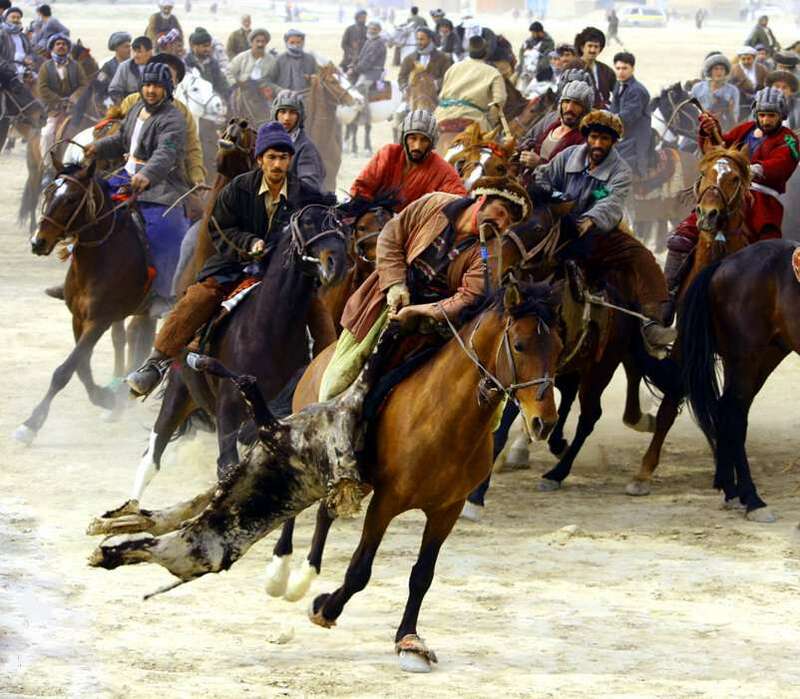 The game of buzkashi is supervised by a referee. The playing area of the game is 200 meters long and 80 meters wide ate two goals known as kazans 1.5 meters high and having a diameter of 3.6 meters are set on opposite sides of the field. There are two teams consisting of 10 participants each. Only four players from a team play on the field at a given time. 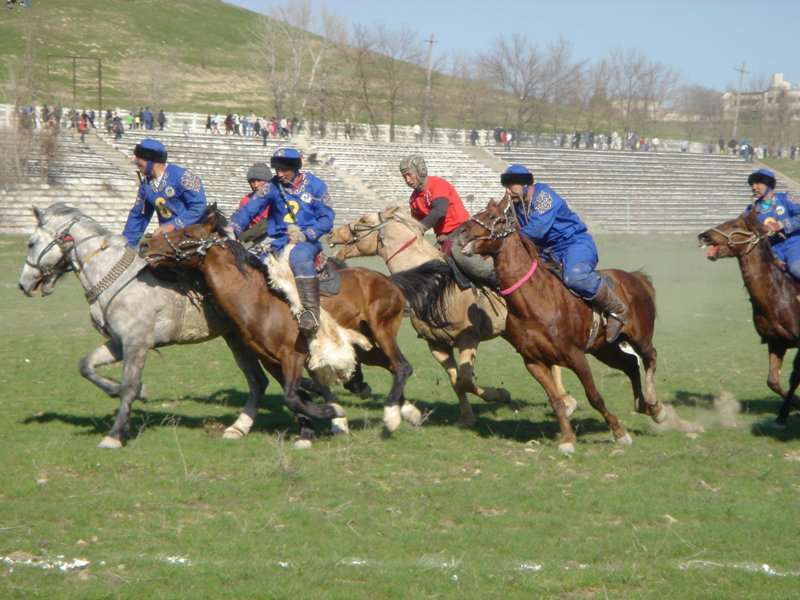 Substitutions of players or horses are allowed. 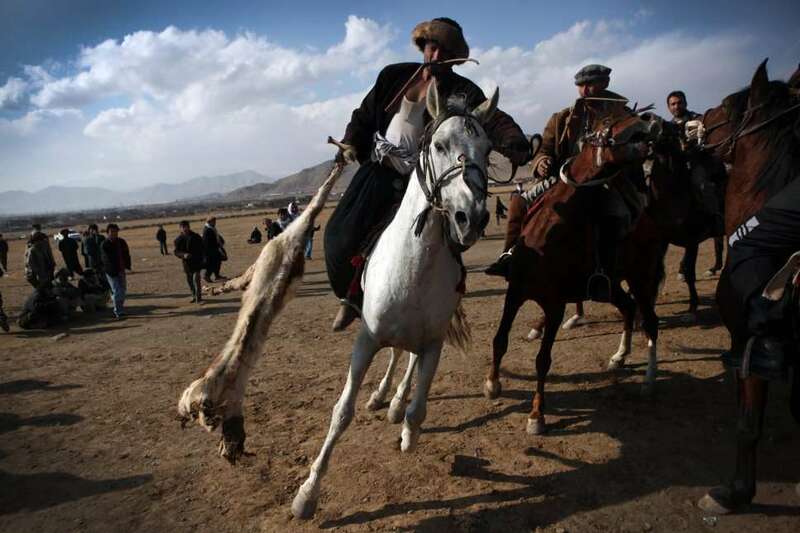 After scoring a goal, a kokboru is brought to the field center.